October is Reuse month - what will you Re-imagine? October is Reuse Month – What Will You Re-imagine? Can Every Month be Reuse Month? October is Reuse Month here in Ireland and over the coming weeks it’s likely you’ll come across several actions encouraging people to think about reducing, reusing or upcycling their ‘rubbish’. Running for the second year, this is an initiative of the Regional Authorities (@CRNIIreland) to promote reuse and a great opportunity for us all to think about waste and how we can re-imagine or eliminate it. At a SUSY in Ireland event in Waterford recently, I was invited to demonstrate how everyday items can be used in gardens to save money, create art, as well as protect the environment. 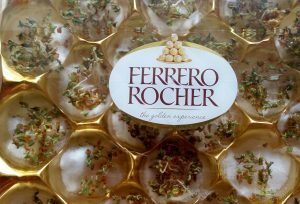 From Ferrero Rocher chocolate boxes that we can reuse as seed containers and old cutlery as garden chimes, there are so many other uses for our rubbish once we begin to look at it differently. 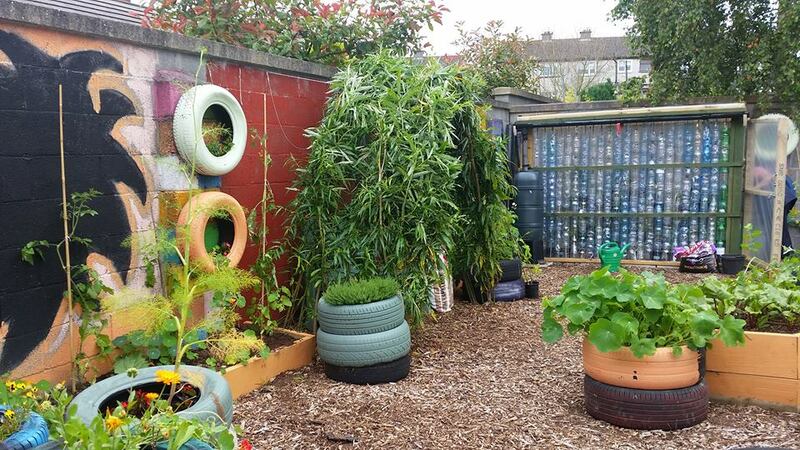 Last week, a local community gardening project in Gleann na Bearu, Bagenalstown, County Carlow, entered both local and national upcycle competitions for their many reuse garden projects. Pride of place is the artistically created greenhouse shown above. It was mostly created from 2 litre plastic drink bottles collected by the community. 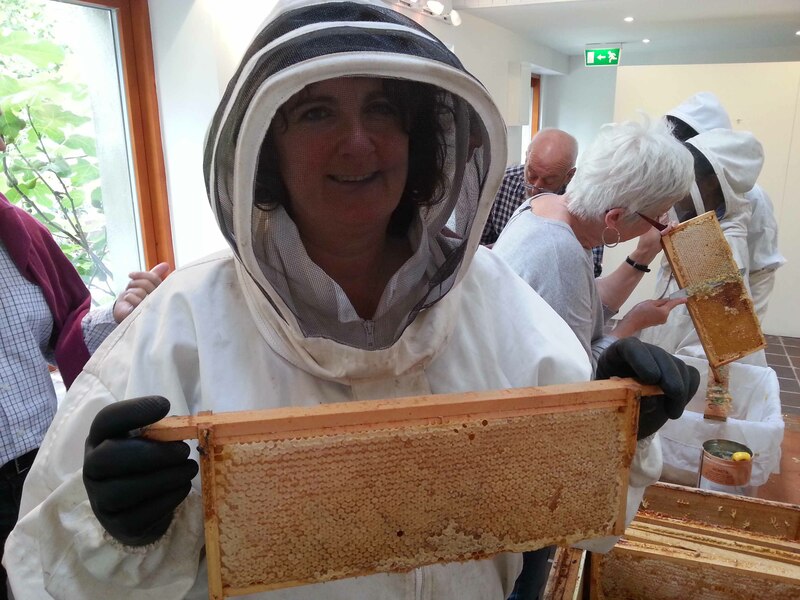 If you’d like to learn more about it or other upcycled projects in the garden, you can view them on their Facebook page or if you’re nearby, visit the garden on Wednesdays between 9.30am to 11.30am. 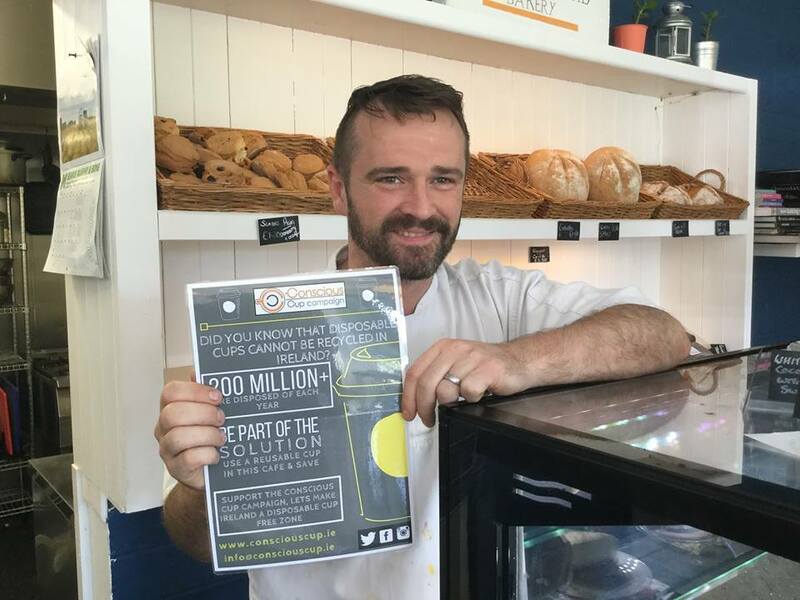 One very quick way we can make a difference in helping to reduce rubbish that otherwise heads to landfill is by stopping or reducing our use of single use cups. As a nation we managed to decrease our plastic bag use by a whopping 90% with the introduction of a small tax, surely we can do the same with disposable cups without one? In July, the Green Party introduced a Waste Reduction Bill to the House of the Oireachtas encouraging this and more initiatives; the bill has since been referred to the select committee for consideration. The transcript of Eamon Ryan’s debate explaining the reasons behind the bill can be found online. One of the problems we face with disposable cups, is that even if single use cups say they are recyclable, there are no recycling plants in Ireland that are able to recycle them and only one of two in the UK are actually doing so. When I returned to adult education earlier this year, it galled me to see plastic spoons, non recyclable cups and plastic lids being thrown into black plastic bags in their hundreds, on a daily basis. I asked the canteen if they’d consider doing something about it given the negative environmental impact and was pleased to see a box of wooden stirring sticks appear on the counter the following week; sticks that can at least be composted or made into plant pot labels. Sadly that was the only move to sustainability I became aware of while I was there. I began taking in a travel mug every day and asked for my tea to be made in that. Wouldn’t it have been amazing if the contractors had taken the initiative on-board and encouraged all students to do the same? They could have reduced the cost of the cuppa on till receipts if they did so, after all, we’re saving them money on their cups, but alas, this wasn’t the case. As a newly appointed VOICE Ireland Recycling Ambassador, when I return to my studies next year I’ll be banging the recycling drum even louder and talking to the canteen contractors about the Conscious Cup Campaign and see if they’ll follow Trinity College’s footsteps! Thankfully lots of cafe’s are beginning to take this on board. 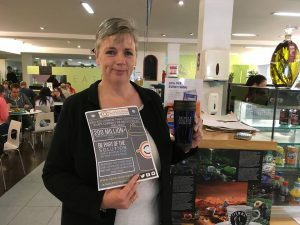 Fellow blogger Melanie May, has published a list of café s in Ireland that offer a discount if we bring our own cups; hopefully she’ll be updating it as more establishments come on board. Baring all of this in mind, I was pleased to be sent a KeepCup (@KeepCup) by a PR company recently. After a few weeks of use, I’m happy to say it’s the best reusable cup I’ve tried. I’ve gone through a few brands over the years but usually give up on them because they drip. Whoever designed the sippy lip on the KeepCup got it exactly right. No more spillages down the front of the tee-shirt, it’s a marvel. I was invited to choose a colour from many variations and carry it around with me most days now. 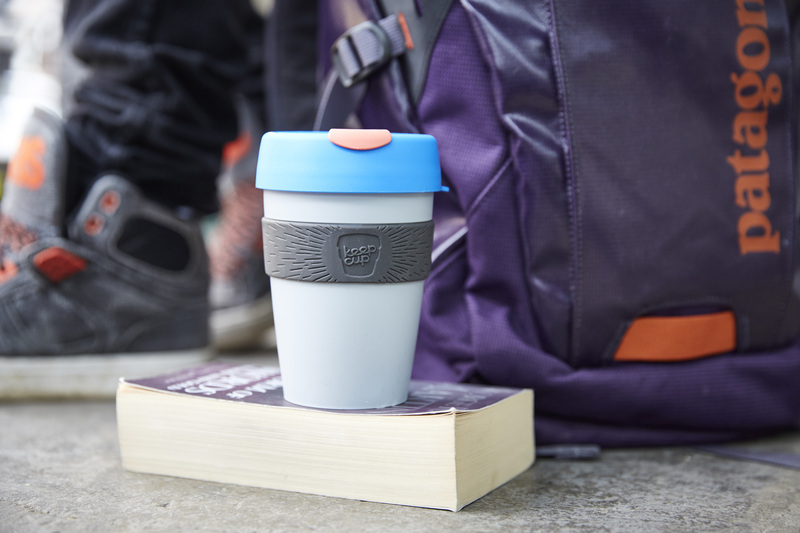 KeepCup is an Australian brand developed by Abigail and Jamie Forsyth, a sister brother team who were dismayed at the large volume of waste that resulted from their Melbourne based café. The reusable cups come in a variety of sizes, colours, materials and designs and are available to purchase in premium cafés nationwide or online. Cafés and businesses can order larger quantities of KeepCups from Dublin based, family run distributor EA Symmons. The one I received (12oz original) retails between €12.99 – €14.99 and is BPA free. According to Canadian chemist, Dr Martin Hocking, the requirement to manufacture a reusable plastic cup versus a paper cup over a lifetime use was under 15 uses. 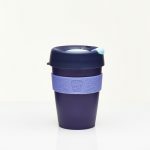 Disposable cups are lined with polyethylene and there is enough plastic in 28 disposable cups to make one small KeepCup. The cups are guaranteed for a year under general wear and tear use. It would be good to see a similar reuse campaign for single use plastic drink bottles next. If anyone can recommend a decent reusable water bottle that I can take to my fitness class, please leave a comment or get in touch! Will you pledge to reuse, reduce or upcycle more? What initiatives are you already doing? I’d love to hear about them. * Verified by Simon Lockrey from the Centre for Design at RMIT who completed a Symapro Life Cycle Analysis and has independently verified KeepCups sustainability claims. I have a Contigo coffee flask and it is hands-down the best one I’ve had for keeping the coffee hot. You have to push a button to take a sip, so until that button is pushed the coffee is completely sealed. The drink keeps hot for at least an hour. They’re very pricey (ours was a gift) but I would highly recommend. When I was working I used a lovely ‘proper’ mug (as in a porceline mug) with a rubber lid from Dunnes. It was perfect for the office and never dripped. For the water bottle I would highly recommend the Sistema bottles, which I think I’ve seen in Pennys or Dunnes. They’re not very expensive, work well and last for ages. That’s really handy info, thanks June. I don’t know how hot the KeepCup keeps drinks as I usually sip away rather than leave them. Also sounds useful that the Contigo flask completely seals for those bumpy journeys, though I’ve noticed my new cup sits in all the cup holders I’ve placed it in so that’s a bonus! I literally just bought myself a new Bobble filter sports bottle before you posted so will see how that fairs. Can’t beat a proper mug though, and preferably china for tea. Thank you, they look great. I wasn’t sure if they were aluminium but I think stainless is still safe! Will bare that in mind. Hiya, love this blog! My partner and i started a small business from our polytunnel this year. Built from scratch from re-purposed scaffolding poles and water pipe. Coffee cups make great seedling potting on pots. Egg shells make great slug proofing. some washed and crushed shells will keep them off your little seedlings. We mix ours with all the coffee grinds to make a crunchy, nutritious mix. A good anti bird net can be made using bamboos and old plastic bottles. Theres a picture of our 2m high 10mx11m fruit cage on our blog (greencottagevegetables.wordpress.com) made by sticking bamboos in the ground, popping a bottle on top to support the netting and some ‘U’ shaped pegs holding it down. Total cost = approx £60. a proper metal one that size would cost about £1500!!! Obviously smaller scale ones can be made for individual beds. we just wanted to be able to get in our to weed! If you’re really creative, get the kids painting the bottles before they go in the garden. a bit more attractive and gets them involved! We are hopefully going to be using some old tyres as raised beds for herbs soon. – things that would otherwise spread everywhere will hopefully stay contained!!! Old sleepers from railways make excellent raised bed edgings – our greenhouse foundation is made from sleepers too! sorry meant to add – use a good permanent marker like a sharpie on milk bottles, otherwise the sun will bleach it off the plastic! Thank you, and loads of great tips! Especially interested in the fruit cage idea. Birds ate all our berries this year. Good luck with your venture. Thanks for including my blog post in your blog post. The KeepCup is a great idea, I know a few coffee drinkers that could use them!